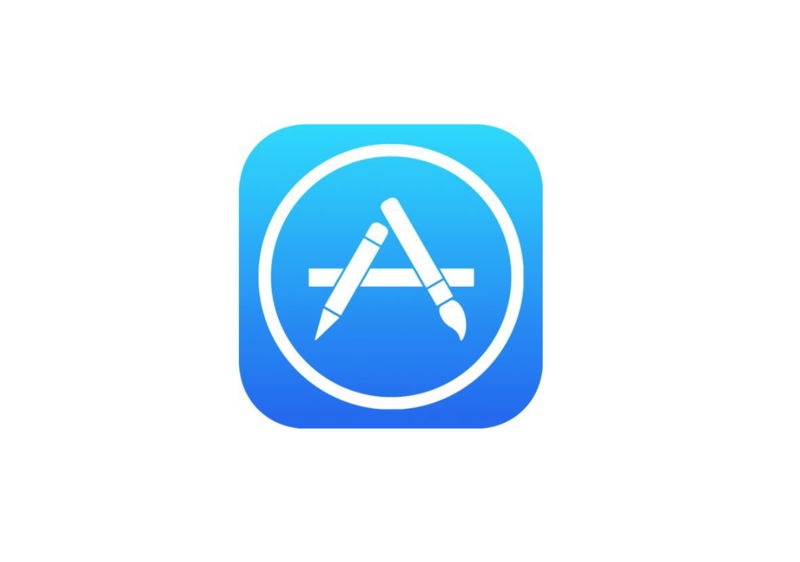 TechCrunch has found that U.S. iPhone users spent 23% more in apps in 2017 than in the previous year. 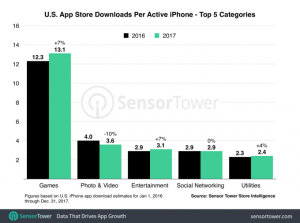 TechCrunch received the information from intelligence firm, Sense Tower, who discovered that an average of $58 per active user was spent on app purchases. A lower average of $47 was spent in 2016. Games were recorded as the largest category of consumer spending in 2017, with roughly $36 of the $58 spent per device being spent there. 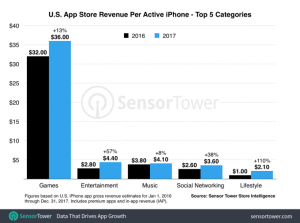 The gaming category typically outweighs all of the others in terms of revenue, for paid downloads and for the ongoing purchases. These included unlocking levels, virtual goods, in-app currency and more. However, outside of games, Entertainment apps, which included Netflix, HBO, NOW and Hulu had also grown by 57% year-over-year to reach an average of $4.40 in consumer spending per device. Music also came up as another big category for consumer spend, with an 8% year-over-year increase to $4.10 per device. 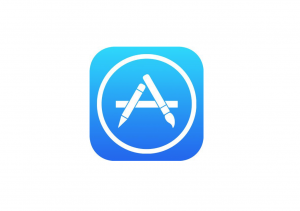 This is due to many people paying for monthly subscriptions for music apps, such as Pandora or Spotify.